10am-1:30pm and 4-6pm (October-April) and 5-7pm (May-September). 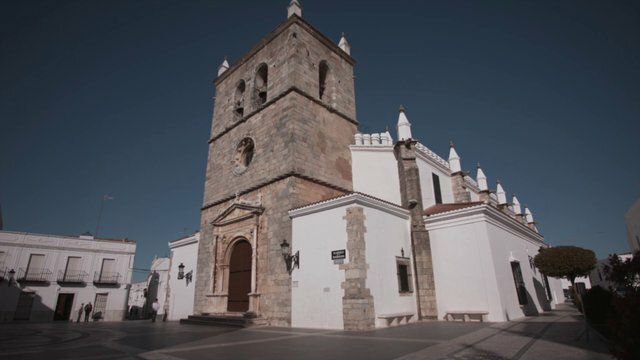 The church of Saint Mary Magdalene de Olivenza was ordered to be built in the sixteenth century, as a temple and residence for the Bishops of Ceuta. The facade, in a Portuguese Manueline style, is based on the late Gothic, and is characterised by its naturalistic decorations and marine motifs. You attention will surely be drawn by its false battlements, and its pinnacles, gargoyles or lateral gates. One of this gates is considered to be the work of the French architect Nicolas de Charetene, who was also responsible for the Gate of the monastery of the Hieronymite monks and a beautiful altarpiece in the Palace of Pena de Sintra, both in Lisbon. When you enter, you will be surprised by its ample interior, both solid and evocative, divided into three naves of columns with spiral motifs which are reminiscent of a ship's ropes. The eighteenth century golden altarpieces, the neo-classical ones in coloured marble and the storiated tilework, are particularly interesting. Due to its uniqueness and beauty, the Church of Mary Magdalene was chosen as Spain's most interesting site in 2012 in the Repsol Guide competition.